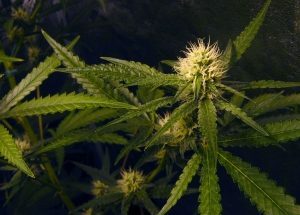 While voters in 26 states plus the District of Columbia have given the green light to laws that legalize marijuana in some form, questions still remain about the legality of certain cannabis advertising campaigns. Recently, the Los Angeles Times reported a new venue for advertising recently opened, though it’s not heavily-utilized at this point, and it’s unclear whether it will amount to a sizable business opportunity. U.S.-based air carrier Allegiant Air, headquartered in Las Vegas, NV, has become the first to agree to allow advertising from a marijuana dispensary. It’s found on the airline’s in-flight magazine, Sunseeker, which ran an advertisement for a marijuana dispensary that produces THC-laden cookies and candies, sold just a few blocks from the strip in Las Vegas. A full view of the kitchen is displayed in bright, colorful pictures on the in-flight magazine. The advertisement lets passengers know that marijuana is legal for recreational use in Nevada for adults over the age of 21, and has been since last year. But this doesn’t mean advertising is going to be a simple matter, and those considering running marijuana advertisements – whether you are a dispensary, publication, billboard owner, etc. – should seek experienced legal counsel to make sure you understand your rights and responsibilities, given that marijuana is still a Schedule I narcotic outlawed by the federal government. Recently, California lawmakers introduced SB-162 specifically aimed at addressing marijuana marketing. The measure, if passed, would ban marijuana dispensaries and producers from using promotional products to advertise their businesses. That would mean companies would be forbidden from using branded merchandise that would be sold on hats, clothing, bookbags or other gear that would display the name, logo or product. The bill passed in the U.S. Senate last month by a vote of 40-0. It’s now being considered by a state Assembly committee. California law currently allows branded merchandise to be sold and distributed at certain events, but only where attendees are at least 21-years-old. Anyone who has ever attended a cannabis-related event knows it’s common for those in attendance to leave with a grip of bumper stickers, tote bags, t-shirts and more with marijuana business insignia. However, the passage of SB 162 would outlaw all of that. If cannabis crews were unable to market themselves or capitalize on this secondary industry, that could curtail a significant revenue source. Promotional products industry leaders are taking a firm stance against this, arguing that such limitations could amount to First Amendment violations. Still, the measure has plenty of supporters. For example, the American Academy of Pediatrics, California argues the bill would protect children from an onslaught of pro-marijuana advertisements, shielding them from skewed messages that might promote marijuana in a way that could be dangerous for young people. But it’s not as if there aren’t already advertising restrictions on marijuana in California. As our marijuana business attorneys in Orange County can explain, the state already bars any signs or advertisements of the drug in any broadcast, print or digital medium where less than 72 percent of the audience is likely to be 21 or older (or conversely, where 28 percent or more is likely to be under 21). The law also does not allow any advertiser or marijuana business to run promotions that allow for a giveaway of marijuana products or accessories as part of a promotional campaign.